At its most effective, wealth management is a multi-faceted approach—addressing risk and tax issues, estate planning and charitable gifting, and perhaps college and long-term care planning. It’s unlikely to find one single financial professional who’s equally well versed in all these disciplines. 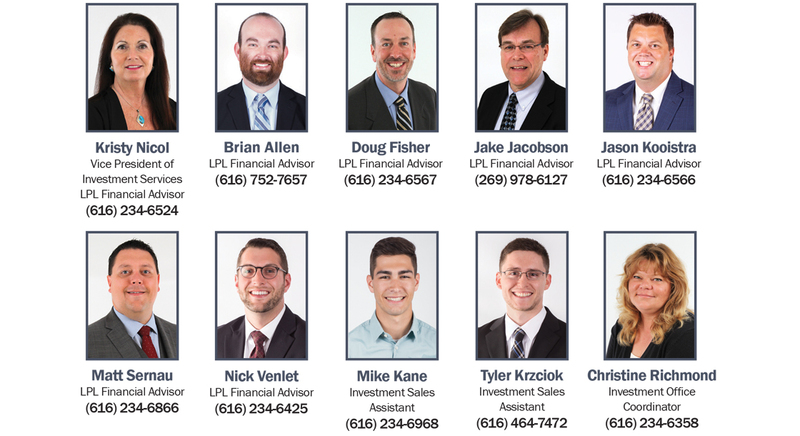 Acknowledging that reality, the LPL Financial Advisors of MaxWealth Management located at Lake Michigan Credit Union frequently collaborates in a team effort, to draw on their collective understanding to the benefit of their clients. Each professional on the team makes their insight readily available to others, and the longer the team works together, the more cohesion and experience it wields in designing comprehensive strategies. A suitable wealth management approach looks not only at different aspects of your wealth, but also considers what your wealth means to you. What should it accomplish? What role does it play in your life? Addressing those questions can help weld your wealth with your values. Our knowledgeable wealth management team can help you seek to improve many aspects of your financial life. Unsure of how to best move forward? 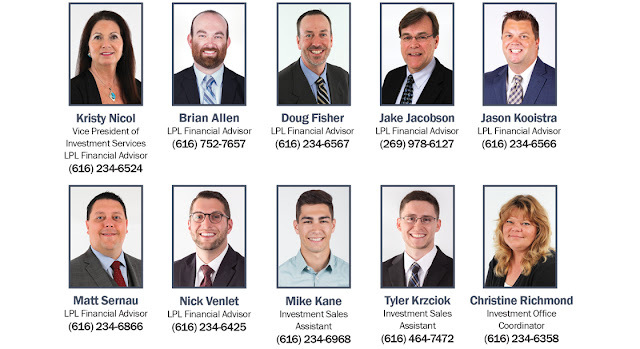 Contact MaxWealth Management located at Lake Michigan Credit Union and speak to one of our representatives for a free, no obligation (team) financial review. Schedule an appointment today! Call (616) 234-6358. Securities and financial planning offered through LPL Financial, a registered Investment Advisor, Member FINRA/SIPC.Insurance products offered through LPL Financial or its licensed affiliates. Lake Michigan Credit Union and MaxWealth Management are not registered broker/dealers and are not affiliated with LPL Financial. Not NCUA Insured. No Credit Union Guarantee. May Lose Value.